How well do you really know your family history? What kind of skeletons did your relatives have in their closets? Are there secrets your own parents kept from you, secrets that could cost you your life? Proper Burial is the story of Ashley Stonewall, an average thirty-two year old woman who doesn’t look for trouble, doesn’t crave adventure, and never sought out the details of her own past. However, on her thirty-third birthday, the dark secret of her bloodline finally seeks her out. In the derelict mansion of her long-dead recluse father, Ashley must follow the clues left by her recently deceased mother to traverse the ancient halls of her childhood home and uncover the mystery behind the strange events and haunting disturbances that plague her on her fateful birthday. As Ashley learns that her destiny may have been planned for her centuries before she was born, you may ask yourself what was planned for you without your knowledge. What lies ahead in your future, and how will you survive it? A story about the value of life and death, battling our inner demons, and overcoming the shadows of the past. 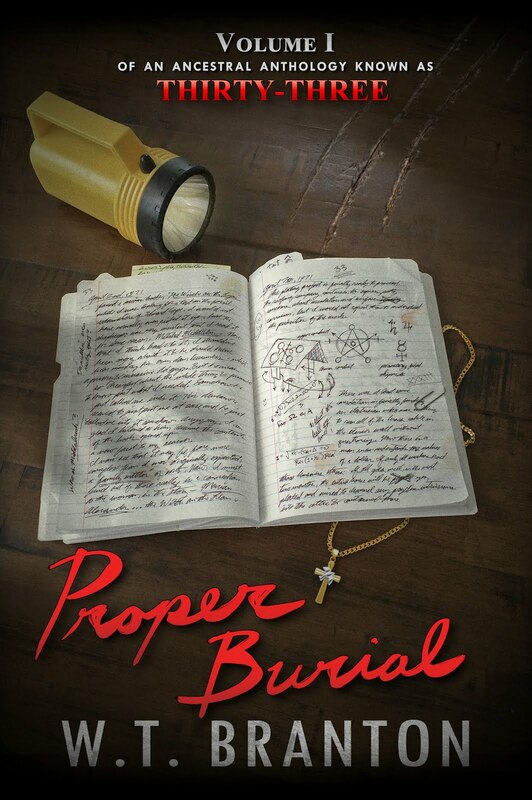 You may be more used to reading my observational theology articles and philosophical ramblings, but this is my first full-length novel, Proper Burial. A supernatural thriller set in late-nineties New England, Proper Burial is the story of an altogether ordinary woman who finds herself pulled into an ancient mystery that leads to a surreal fight for survival. It's a story about the value of life and death, battling our inner demons, and overcoming the shadows of the past to live the way we choose. If you like delving into the mind-bending mysteries of Sherlock Holmes and losing a chunk of your sanity reading the tales of H.P. Lovecraft, then you'll find yourself drawn in to the haunting descent of Proper Burial. 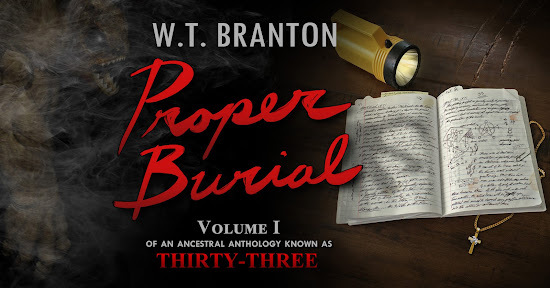 This is the first installment of an ancestral anthology known as Thirty-Three that follows an ancient bloodline of different individuals throughout history, each of them cursed to be hunted by an unknown threat when they come of age. Proper Burial is currently available on Amazon in paperback and Kindle ebook formats. *No junk mail, just awesome stuff. © 2018 W.T. Branton. Simple theme. Powered by Blogger.